A regal encounter wasn’t something I was anticipating from my visit to West Timor, but a royal audience with a bonafide king turned out to be a somewhat surreal but very genuine highlight of our expedition of this far-flung Indonesian territory. The eastern-most outpost of Indonesia, locally known as Palau Timor, is actually surprisingly accessible — just a two-hour flight from Bali, but a world away from the tourist meccas of Kuta and Nusa Dua. 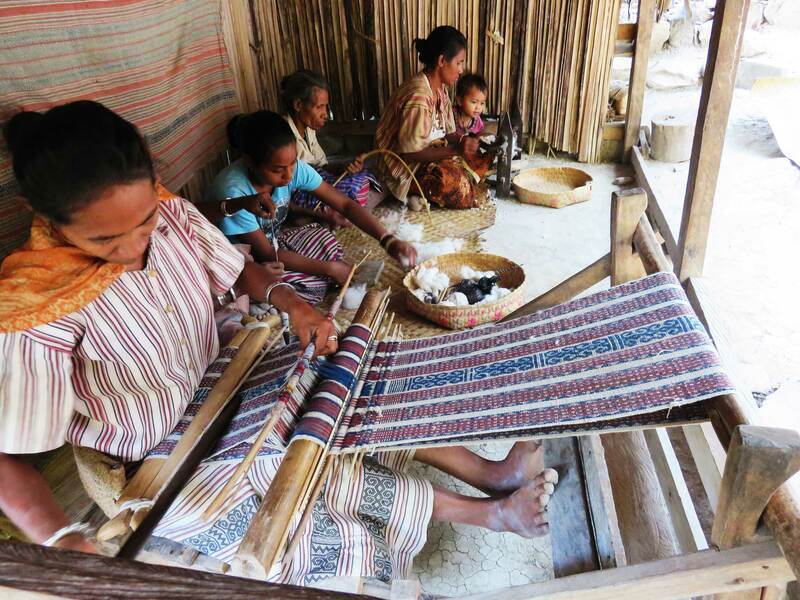 Tourism is still very much in its infancy in West Timor, which has some very positive spin-offs for those who do venture there. Firstly, visitors are highly valued, partly for their novelty factor but also because the locals are so proud to have the opportunity to share their culture and their stories. Secondly, if authenticity is what travellers are looking for, they don’t have to go far to find it. 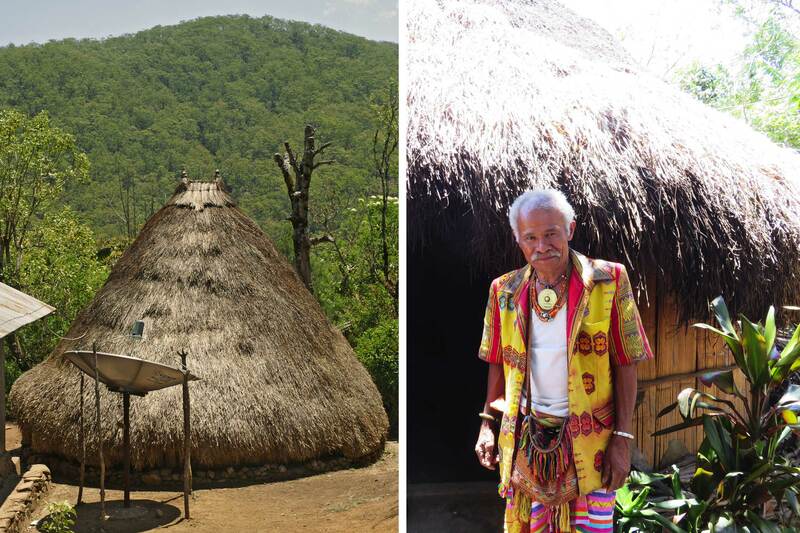 West Timor remains largely untouched by modern life and is comprised of tribal communities that continue to follow ancient traditions. Animism, the belief that plants, nature and the earth possess souls, is still widely practised in the beehive-hut villages that are scattered through the stunning mountainous interior. It’s estimated that over 14 different languages are still spoken, to the degree that the official national language of Bahasa Indonesia is spoken by a minority (and English by even fewer). These language barriers mean that a local guide is by far the most effective way to navigate the country, reveal the sights and to follow the nuances of tribal protocol (which, we soon learned, generally entailed the gifting of small amounts of betel nut — which seemed insignificant payment for the volume and warmth of the hospitality that was provided in return). ​The bustling student town of Kupang is the main gateway to West Timor. We enjoyed the wide smiles of the friendly locals, the chaotic streets and the lively waterfront — and particularly our dinner of freshly caught fish from the market, which was cooked for us whilst we waited. We also had a memorable visit to the nearby Tesbatan Waterfall. 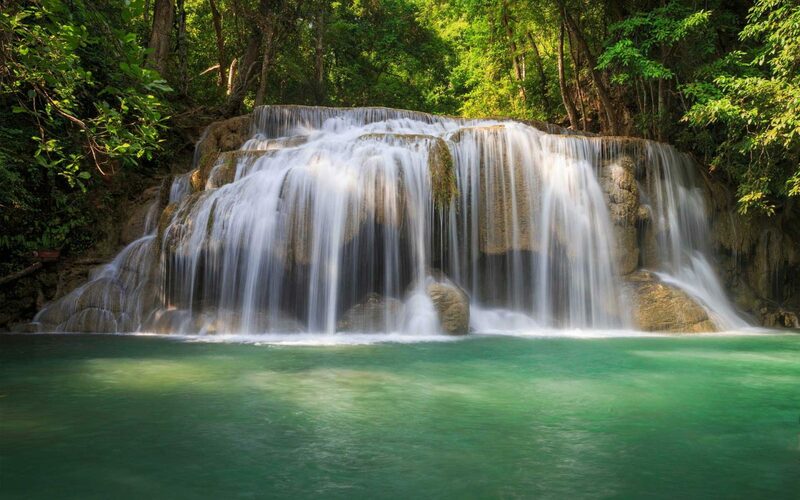 A short walk through native forest brings you to this picturesque cascade of crystal clear water, complete with a deep swimming hole at its base — a perfect place to cool off and watch the locals brave the jump from the top of the falls into the pool below. West Timor is home to a spectacular coastline that is largely unspoiled and has many opportunities for activities such as surfing, scuba diving and fishing. 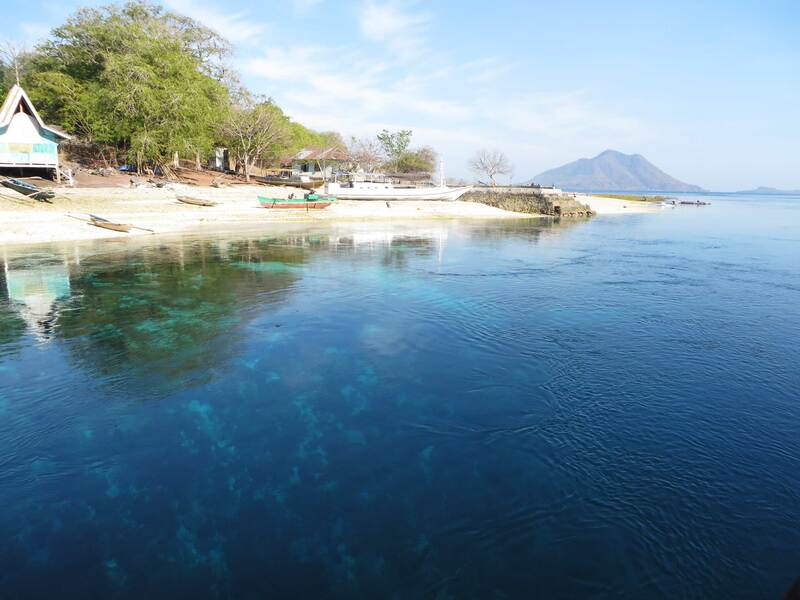 We popped over to the island of Alor, a short 50-minute flight from Kupang, where we enjoyed scuba diving in the warm waters and watching the locals going about their fishing and daily lives. We then flew back to Kupang and were soon on our way east. Our first stop was the village of Nome, one of West Timor’s last headhunting villages and home to the animist Dawan people. Nome is home to around 50 families who have resided here for nine generations. 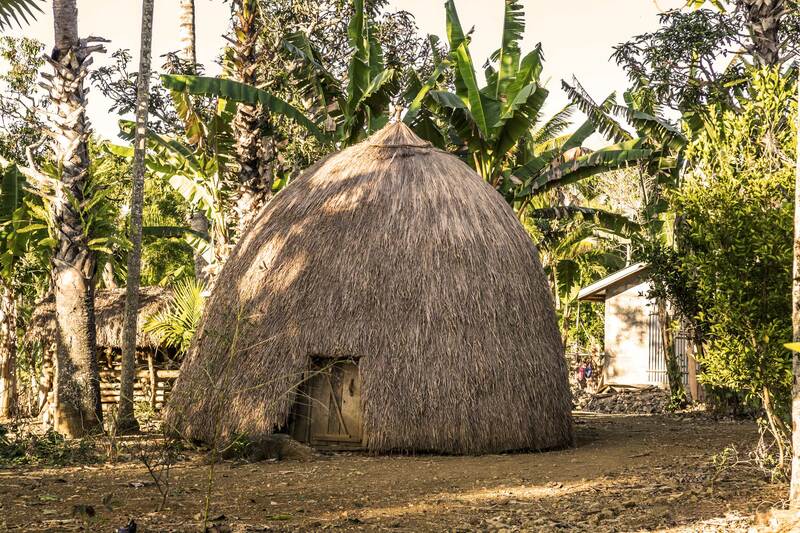 They live in traditional beehive-shaped huts called ume kebubu and have no electricity or running water. The village sits on a high promontory with 60-metre cliffs on three sides and a coral wall on the fourth. As they were still fighting off attackers and taking the heads of the vanquished well into the 1960s (despite this practice being officially banned in 1942), this natural defensive wall was imperative for survival. Tribal conflicts are now a thing of the past but tribal honour is alive and well — the fact that the village had never been conquered by rivals remains a huge source of Dawan pride. Further east still and West Timor’s landscape becomes more mountainous and the scenery more impressive to match. 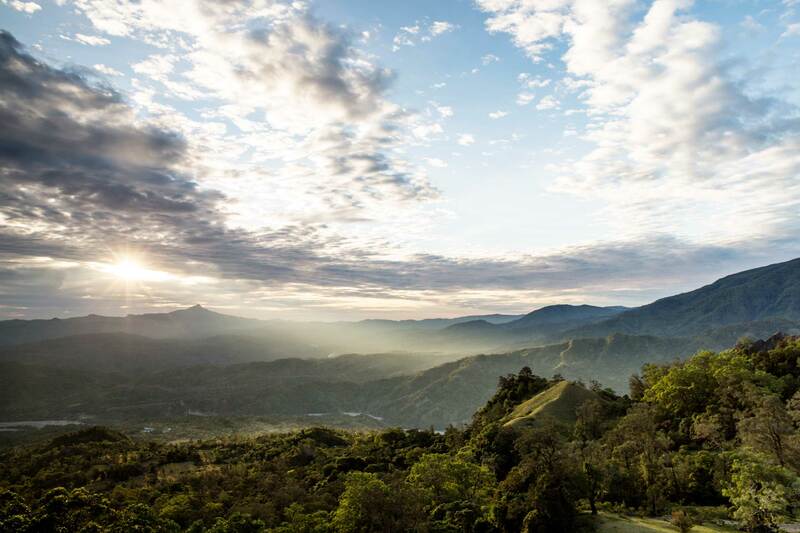 Visitors are treated to far-reaching views over farmland, rivers and groves of mahogany trees and glimpses of undeveloped villages that the road passes through. Perched high on one of these mountains is Fatumnase, a mountain village well known as a base for trekking and bird watching. It is a long way to go for a mere day trip but the surrounding area is beautiful. Although fairly basic, there is a school, running water and electricity here and the odd juxtaposition of the occasional satellite dish sat beside a traditional hut will put a smile on any visitor’s face. From Fatumnase we travelled north, nearing the border with independent East Timor. Here we visited the town of Kefamenanu, known as Kefa. This was our guide’s home town and we were privileged to be welcomed into his home where the extended family threw a celebration for us complete with traditional dancing. The hospitality was heartfelt, the food plentiful and the atmosphere festive — we partied West Timorese style and loved every moment. Kefa is also a great place to explore the surrounding area, one of the highlights being the isolated village of Tamkesi. Perched on the edge of towering limestone cliffs,Tamkesi still retains the traditional, animist religion and way of life. Stunning vistas await those who hike up the narrow path hewn out of the cliff, with views out to the distant sea when the weather is right. The last stop on our journey before we returned to Kupang took us even further into the ‘real’ West Timor. Traversing the unsealed roads and tracks (a four-wheel-drive vehicle is essential) felt like a real adventure, a feeling that grew when we reached our next destination: the beautiful village of Boti. The village didn’t just look like something out of a fairytale, it sounded a little like one too — in Boti, the men are traditionally forbidden to cut their hair after marriage as it symbolises their connection to nature. They are ruled over by their own king, with whom we were to be granted a royal audience. I’m not sure if all rulers are so immediately likeable, but Boti’s king greeted us warmly and invited us to take tea with him outside his hut. Language prevented us from communicating directly but he seemed genuinely honoured to be visited by three generations (my parents were travelling with me, my husband and our two children) and through our guide we made enquiries of each other’s family and respective ways of life. We must have received the royal seal of approval as we were later invited to dine with him — the only time I can honestly say I’ve been served food fit for a king. We were able to explore the village at our leisure and were charmed by the simplicity and contentment of Boti’s truly communal lifestyle. Despite his status, the king tends to the fields alongside the rest of the men whilst the women cook and weave clothes for all the villagers. We learned that the king had decreed that one child per family can be sent to an outside school, with the expectation that they will bring their skills back to the village to enhance community life upon their completion of their studies. Our pro-royal sentiment increased with the duration of our stay — the king was gracious, hard-working and caring. We left Boti with a strong sense of admiration for the strength of community that he’d built and the prosperity he’d created for his people. 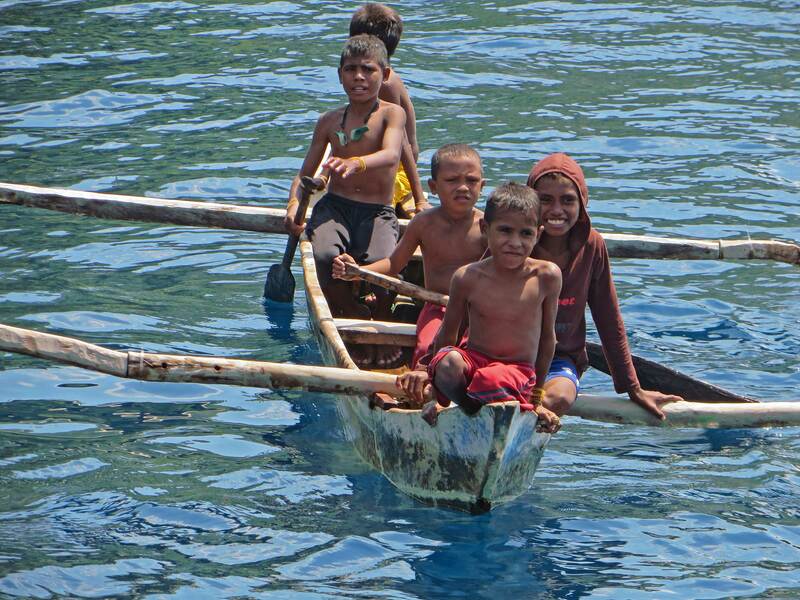 It proved a noble conclusion to a majestic West Timor adventure.